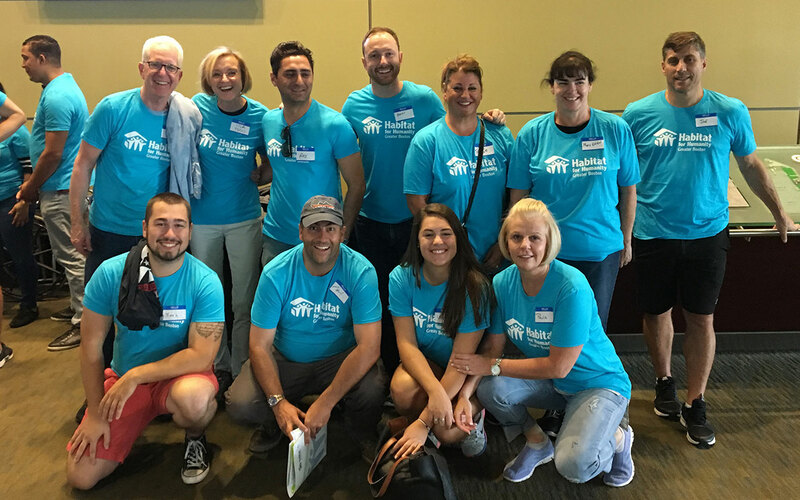 At the last Orgill Event, Habitat raised $50,000 to help build housing and create a pathway to home ownership for low-income families in Greater Boston. 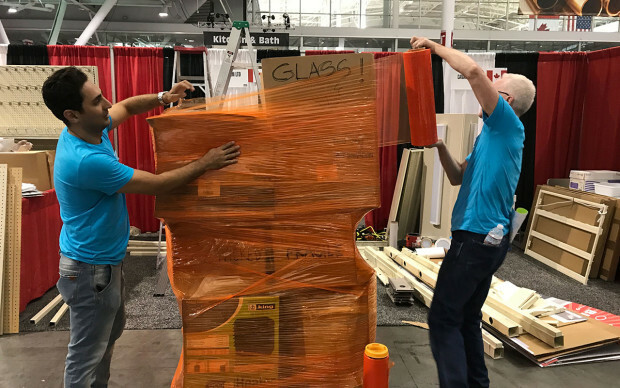 Orgill is a huge hardware trade show at Boston’s Expo Center in the Seaport. 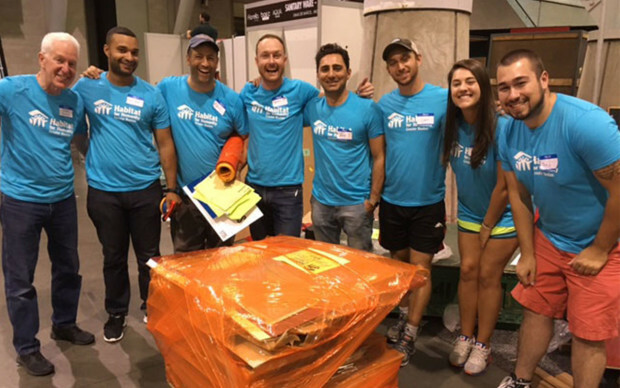 After the show many vendors donate their goods for Habitat Boston to sell in their ReStore. That’s where the volunteers come in—loading and shrink-wrapping pallets. 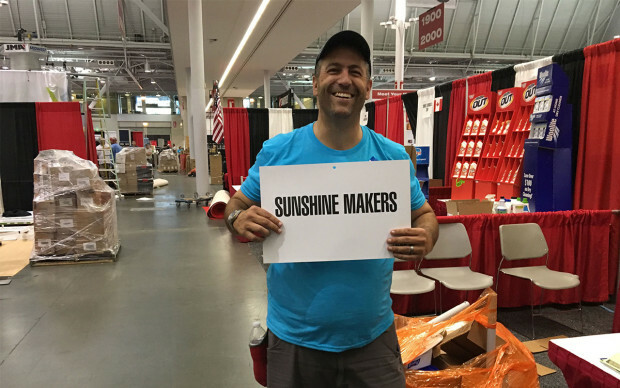 And a big shout out to Tocci’s Paul Thibault, AKA “Sunshine Maker” for leading the charge. 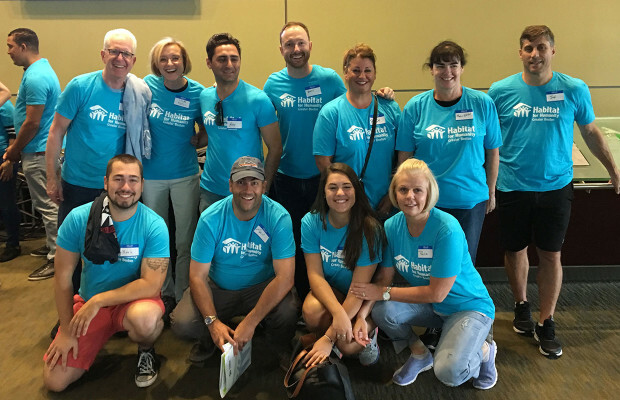 It was an evening of doing good and working together as we searched for and stashed empty boxes to pack batteries, toilet repair parts, light bulbs, household cleaners, mops, and scents. We dismantled and reassembled toilets: pallet-ready, and sealed with shrink wrap. After a hasty supper of pizza we were called into special duty to pack up a high end display of bathroom fixtures, complete with glass countertops, vessel sinks, and lighted mirrors. 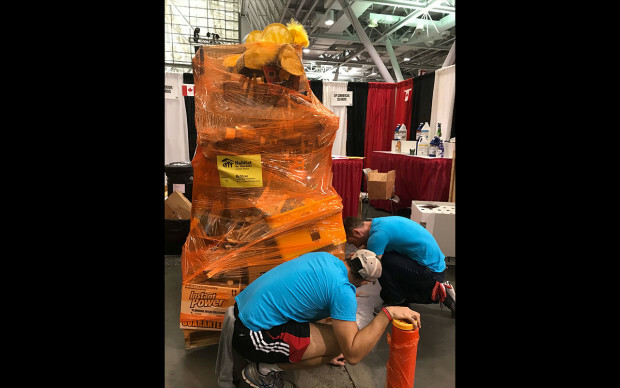 These delicate items required high-intensity scrounging on our part and sent us searching the ravaged expo floor for discarded bubble wrap and cardboard, ducking forklift drivers who cranked on the speed to move wrapped pallets to the loading dock. As a team we figured the best way to pack these fragile fixtures securely before shrink wrapping them to perfection (ask Bart). Lark Palermo, Habitat Boston’s Exec. Director thanked the Tocci team several times for conquering the Expo Hall with energy and efficiency. And now—where is all this fine stuff going? Coming soon: a word about Habitat ReStore from Paul Thibault.